Geek Vape Aegis Mini is designed to be a very durable with extreme water, shock and dust protections. 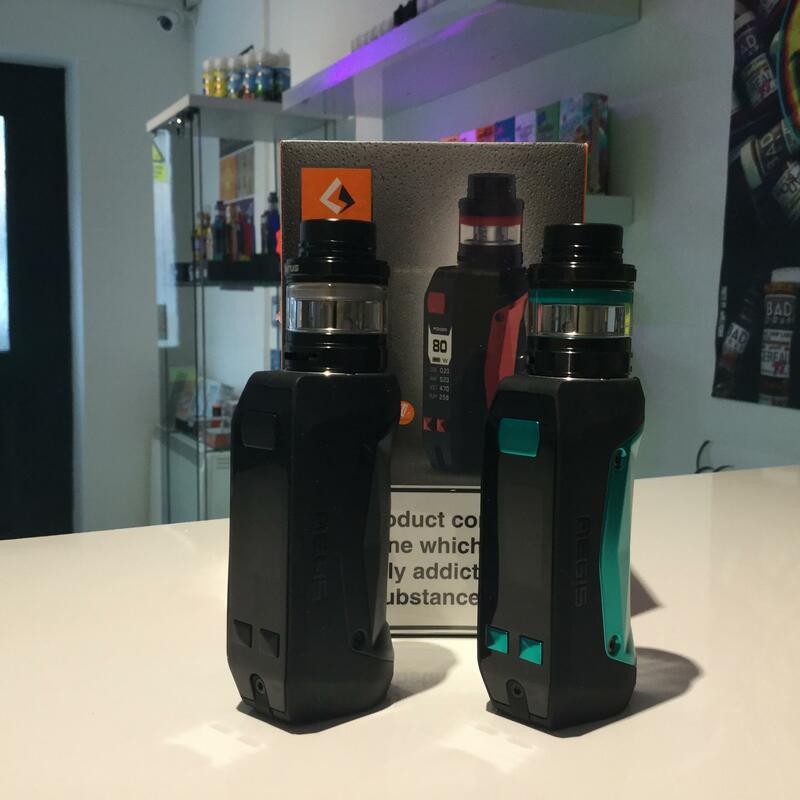 This mini beast is equipped with Geek Vapes AS chipset allowing power from 5W to 80W with outstanding accuracy in both power and temperature control modes. Included in this kit is Geek Vapes awesome Cerberus sub ohm tank which packs a punch with its super Mesh Coil.